Many issues can affect your feet and ankles leading to severe pain and discomfort. Luckily, you can find relief and get you back to feeling your best, all without the need of surgery, but with regenerative medicine. In fact, regenerative medicine is proven to be safer and more effective than traditional surgery options. 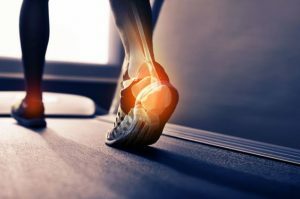 There are many benefits to using regenerative medicine to help you find relief from a number of foot and ankle injuries. Regenerative medicine is defined as a branch of medicine using tissue engineering and molecular biology as a process of replacing, engineering and regenerating human cells, tissues or organs to restore to normal function. There are different forms of regenerative medicine treatments and many are offered at the Foot and Ankle Center of Arizona. There are a wide range of foot and ankle conditions that can develop throughout your life. Always speak with a specialized foot doctor to receive the proper diagnosis and treatment options, such as regenerative medicine. These injuries affect the Achilles tendon, which is the largest tendon in the body that stretches from your calf to the heel bone. This tendon can rupture, causing excruciating pain along with degermation of the tendon. Tendonitis in the foot can also be caused by an injury to the Achilles tendon, which is the inflammation of the tendon. The cause of these injuries are from overuse, stress from certain shoes (high heels) and lack of stretching before exercise. If untreated, it could produce even more micro tears and worsen over time. The plantar fascia is the structure that supports the natural arch of the foot. Plantar fasciitis is irritation to plantar fascia, causing a stabbing sensation and regular foot pain that could even keep you off of your feet for weeks. The injury can also cause inflammation and can worsen over time. This is usually caused by repetitive stress, and excessive tension on the foot. 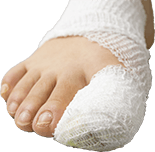 If you are experiencing pain in the middle or side of your foot, it could be a Jones fracture. This is where you fracture the fifth metatarsal. This could be confused as a sprain, but the pain is much worse and oftentimes much more serious. This tends to be a common injury in athletes and dancers. Besides surgery, you can get relief with regenerative medicine. Surgery is risky and can lead to a long recovery. Regenerative medicine can help with intense heel pain, tendonitis, injuries to the Achilles tendon and arthritic joints with less risk and a faster recovery. Shockwave therapy has been a successful form of treatment for more than 2 decades and only continues to improve. The non-invasive treatment is cost effective and affordable. Shockwave therapy is also much more safe, with less risk than traditional surgery. It also comes with a faster recovery time and only minimal maintenance is needed. Most cases require 3 individual treatments that are scheduled one week apart. Each session takes only about 5 to 10 minutes. 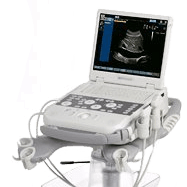 The Foot and Ankle Center of Arizona uses EPAT, Extracorporeal Pulse Activation Technology, making shockwave therapy an advanced and highly effective treatment that is cleared by the FDA. During shockwave therapy, pressure waves are used to stimulate and enhance blood circulation. This also accelerates the healing process. With shockwave therapy, there are virtually no risks or side effects. The results start immediately, and after 4 weeks, over 80 percent of patients have reported being pain-free. PRP injection is a very effective treatment and promotes natural healing of the tissue. The platelet rich plasma injections comes with remarkable results and is a much easier process than going under the knife. The process uses human blood that is spun down and separated, which then produces a concentration of platelets that are above normal values. The extremely rich platelets are then injected back into the injured tissue. Using the patient’s own blood, a centrifuge is used to separate the platelets. PRP is known to promote natural tissue healing and is a common treatment among many athletes. Stem cell therapy has been gaining popularity throughout the years and continues to improve. This therapy option helps with a number of painful conditions like arthritis and alleviates foot and ankle pain caused by tendon, ligament, cartilage, injury and decreases inflammation. This options helps accelerate the healing process with a simple procedure, yet maximum effectiveness. Stem cells can come from an aspiration of bone marrow or a donor. Donor cells are harvested from placental tissues and amniotic fluid. A simple injection of stem cells into the injured foot or ankle does require sedation, but in a comfortable outpatient facility. Stem cells from bone marrow will produce cartilage and is usually used in arthritic conditions or sports injuries. Are you suffering from a serious and painful foot or ankle issue? The Foot and Ankle Center of Arizona is known for their effective care and specializes in regenerative medicine treatment options such as stem cell therapy, shockwave therapy, platelet rich plasma treatment and surgery using only the finest medical equipment. To find relief and receive the proper treatment, schedule an appointment the Foot and Ankle Center of Arizona today.